Pens lose. 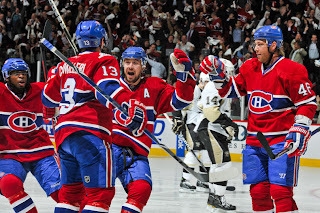 Habs win. 4-3. See you Wednesday... Ok, maybe there is a little more to the game than that, but that is all anyone really wants to talk about after that game. The Pens were outplayed, and that is about all that matters at this point. The analyzing is over, the momentum swings are over, and it comes down to one final showdown to decide whether or not the Pens move on. The Pens shot themselves in the foot right off the start when Kris Letang gave the puck to Mike Cammalleri who scored just over a minute into the game. Sidney Crosby would come up with an answer, though, when he batted in a Mark Eaton rebound for his first goal of the series. Kris Letang would find a little bit of redemption in the second when he scored a powerplay goal to give the Pens a 2-1 lead, but it would be the last they would get. Cammalleri would strike again later in the second, and Jaroslav Spacek, back from an extended injury, would score less than 3 minutes later to reclaim the lead. This stretch in the middle of the second looked all to familiar to the beginning of the third in Game 4. The Pens were beginning to get comfortable with their lead, and the Canadiens caught them totally off guard and took the lead for good. Maxim Lapierre would put the game out of reach midway through the third when he swerved through the entire Pens defense and beat Fleury to put his team up by 2. Billy Guerin deflected a Sergei Gonchar slapshot late in the third to put the game within 1, but it would be too little too late. Montreal held on as the Pens were completely unable to generate any offense in the last minute with the empty net extra attacker. This scenario is all too familiar to both of these teams, and it will come down to which team wants it more. 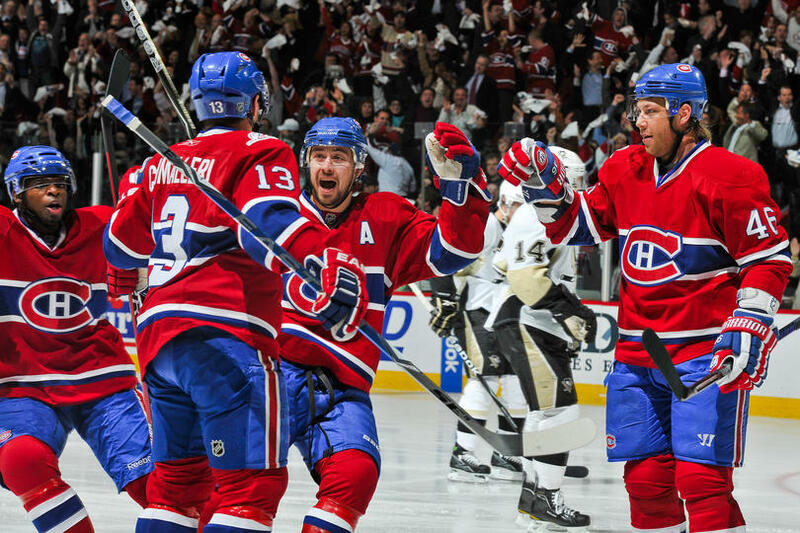 The Pens needed two game 7s in their cup run last year, and Montreal is coming off an upset Game 7 win last series over the Capitals. NHL Game 7s are the most exciting matchups in all of sports, and this one should not disappoint. They are also very unpredictable, so trying to analyze them is a near useless effort. The Pens do have 1 major advantage, however, and it is the home ice. Lady Mellon will be loud, as the fans and players understand that there is the potential that if they lose, it will be the last hockey game ever played at The Igloo. These are the moments that characterize a season, and it is time to see what the Pens are made of. Lets Go Pens and See You Wednesday!